San Diego Mayor Bob Filner as he announces he will undergo intense therapy in response to sexual harassment allegations. Out of therapy and now taking personal time, San Diego Mayor Bob Filner released a statement through one of his attorneys late Monday in reply to a recall effort to remove him from office. The written statement signed by Filner spoke of moving forward, hope and excitement and nothing of the allegations of “pay-to-play” schemes, unwanted sexual advances or sexual harassment in the workplace. The tone of the reply does not sound like an embattled mayor facing a federal and state investigation, an investigation by the San Diego County Sheriff’s Department and a civil lawsuit brought by a former employee. Those in charge of the Recall Bob Filner effort said no one associated with the campaign saw the emailed statement before Tuesday morning. Recall organizers told The Associated Press they would publish it in the newspaper as required by law. They’re printing petitions Tuesday and already have a list of 2,000 volunteers who have offered to help gather signatures. “I was at Qualcomm the other day collecting names of people who want to pass petition signatures and I almost had to beat ‘em off with stick," said John Cox, finance manager for the recall effort. “We're going to set up places, polling places, if you will, all over the city of San Diego where people can actually go and sign petitions," Cox said. City Council President Todd Gloria believes the only way for the city to move forward is for Filner to resign. “Bob Filner’s response to the recall effort shows that he just doesn’t get it," Gloria said in a written statement. Chants at a "Not Welcome Back, Bob" rally on Civic Center Plaza Monday echoed the sentiments of a city growing more lopsided in disdain. But with limited time and money to accomplish the recall mission, some still called it an uphill climb. San Diego’s City Attorney Jan Goldsmith has said the mayor will be “given an out” but did not disclose what that would entail. Filner is expected to be summoned to hearings before the City Council’s Audit Committee to face questions about a trip to Paris costing taxpayers $21,000 in security detail expenses. This in addition to federal and state criminal investigations involving his dealings with developers like Sunroad Enterprises and its special treatment for a big apartment complex that’s in its final build-out phases in Kearny Mesa. 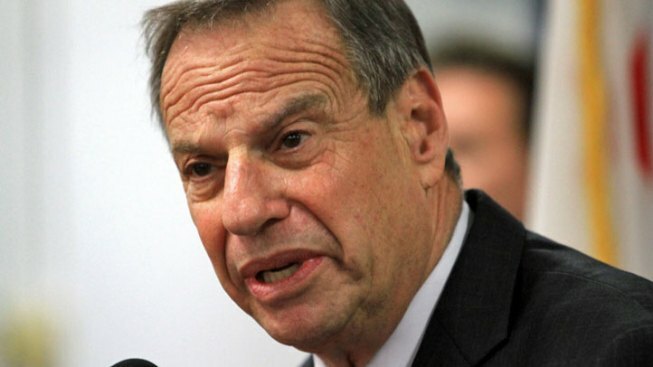 The 70-year-old Filner has acknowledged disrespecting and sometimes intimidating women. He also asked for due process under the law. After allegations of unwanted sexual advances came to light last month, Filner refused to step down despite calls for him to resign from city leaders, Democratic Party leaders, state legislative leaders, U.S. Rep. Susan Davis, U.S. Rep. Scott Peters and U.S. Rep. Nancy Pelosi along with U.S. Sen. Dianne Feinstein and U.S. Sen. Barbara Boxer as well as former mayor Jerry Sanders.